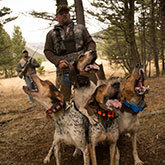 Astro is the premier high-sensitivity GPS-enabled tracking system for sporting dogs. This unique system pinpoints your dog's position and shows you exactly where he is, even when you can't see or hear him. 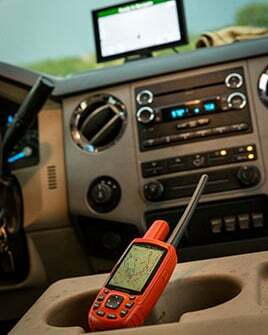 The new Astro 430 handheld GPS device has features that hunters have been asking for – like increased refresh rate, a simplified user interface and must-have mapping capability. Due to varying international regulations, this version of the Astro is approved for use only in the United States. The sale and unlicensed use of the Garmin Astro dog-tracking system in any form is currently prohibited by the Canadian government. In June 2009, Industry Canada announced that the MURS radio frequency used by the Astro would be allowed in Canada following a 5-year transition period. 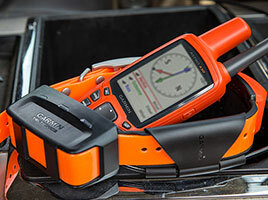 However, in June 2014, Industry Canada reversed its position, noting “the Department does not feel that the introduction of MURS devices in Canada is warranted at this time,and has decided to defer the introduction of MURS devices in Canada until a clearer indication of actual need is provided by Canadian MURS advocates and/or stakeholders.” Garmin remains interested in offering the Astro to our Canadian customers, and will be contacting Industry Canada in support of that goal. Potential Canadian customers should also contact their local Industry Canada office to express their desire to have the product approved for use in the country.